Science and mathematics can be challenging subjects to teach, if only because they are so polarizing. Most people either love these subjects, or despise them. Therefore, it is up to most teachers of science and mathematics to present these subjects in a way that is engaging and easy to understand. For special education teachers of these subjects, the task becomes all the more complex. On top of figuring out how to present science and mathematics in a digestible and interesting way, you will have to do so in a manner that best meets your students’ unique needs. The Georgia state government requires all incoming educators to take and pass the GACE (Georgia Assessments for the Certification of Educators) exam. Teachers in your particular field will have to take the GACE Special Education Mathematics and Science exam. Each GACE exam is tailored to a specific subject, and designed to assess whether aspiring educators within that particular field have obtained all the skills they’ll need for their professional career. No teacher can begin work without first scoring well on this exam. 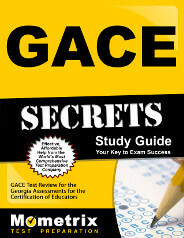 The GACE Special Education Mathematics and Science test is fairly similar to its sibling exams as far as format. It is composed of a total of 80 multiple choice (“selected-response”) questions, which you’ll have to answer under a time limit. You will specifically be granted two full hours to complete the exam. Naturally, the exam’s questions will cater to either Science (50 percent) or Mathematics (50 percent). At Mometrix Test Preparation, we care about your success. That’s why we strive to offer you only the best study tools. 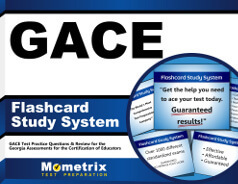 On this page we’d like to offer you our GACE Special Education Mathematics and Science practice test. We have designed our practice test through extensive research, all to ensure it is as accurate as possible to the real exam in terms of formatting and material. Feel free to use it to familiarize yourself with how the actual exam will work. This free study tool should prove effective whether used on its own or in conjunction with our companion study guide. Regardless of how you use it, we hope it will fit well into your study plan.